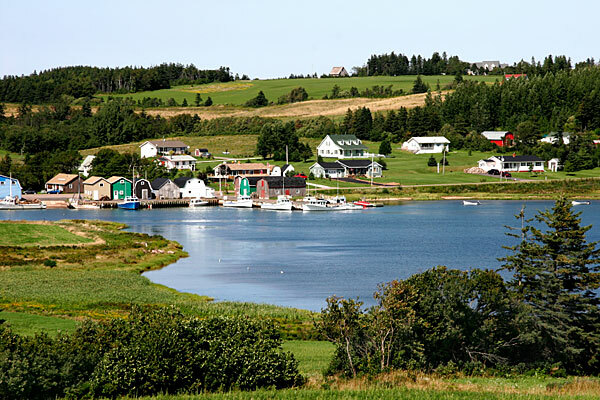 Why Tiny Towns are Giving Away Land in Canada - Canada Immigration and Visa Information. Canadian Immigration Services and Free Online Evaluation. Tegan Wong-Daugherty was struggling to find the right town to raise her children in—so she decided to build her own. Alongside her husband, Wong-Daughtery bought roughly 130 acres in New Brunswick for $130,000, built a house, and began giving the rest of the land away. The couple is at the forefront of a new movement sweeping across Canada, where small towns are giving away free land in a bid to shore up their own populations. At least 10 communities are currently offering land for $10 or less for those willing to put down roots. The Rural Municipality of Pipestone, in South western Manitoba, is selling plots of land for $10. Over the past five years, 24 lots have been sold in the four towns within the municipality of 1,500 residents. “All these new families have been great for our tax base,” says Tanis Chalmers, manager of economic development for Pipestone. A few conditions come along with the sale of the land: a home needs be built within a year and a $1,000 down payment is required, although $990 of that is returned when the house is built. Pipestone also offers tax incentives to encourage new residents: up to $6,000 for building a new home, $4,000 for buying an existing home and $32,000 for opening a business. The $10 land, as well as the tax incentives, motivated Chad and Danielle Hack to move to Reston, the largest of the towns in Pipestone, last July. “There’s a school and a good daycares in Reston and they’re going to be putting in a splash park. My wife and I couldn’t be happier about raising our girls in a community with so many young families,” says Chad Hack. However, for the most part, small-town Canada is dying. Eighty-one per cent of Canadians live in urban areas, and that number is increasing by 1.22 per cent annually, one of the highest rates in the developed world. In Woodrow, Sask., the town that once numbered 400 has dwindled to about 15 people. In many cases, tiny towns just can’t provide basic amenities such as access to high-speed Internet and drinkable water. One place that is defying the odds is the town of South Knowlesville, N.B., which didn’t exist six years ago but today boasts a population of about 25 people. It’s the town founded by Wong-Daugherty and her husband in 2010. So far they’ve given away five lots, and they hope to give away another eight. “Our community isn’t for everyone. The growing season is quite short and the blackfly season is quite long, but for those who are the right fit, this is the best place in the world,” says Wong-Daugherty. For those looking to revive old towns instead of building new ones, the key is encouraging business. Mundare, Alta., population 855, had commercial lots in the heart of downtown sitting empty for years when the town council decided to sell them for $1. This led to the building of a real estate office and daycares. New businesses have a ripple effect—rejuvenating the downtown and encouraging more growth.